Other Such Happenings: Ready, Set, Go! 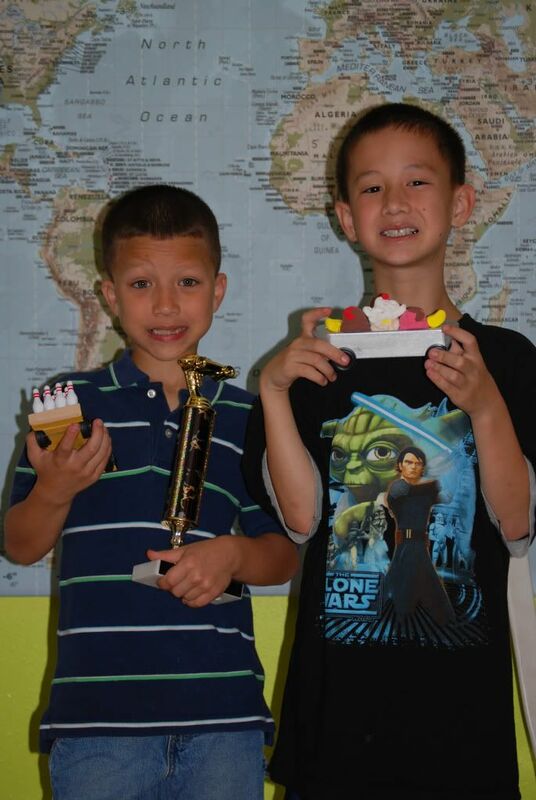 Next to the Father-Son campout in the fall, Austin and Noah's favorite Master Club (like Awanas) activity is the Pinewood Derby. POP QUIZ: Can you guess which car up there belongs to Noah? The Derby is a fun time of food and fellowship with friends from church. Since this is a race, the goal for many is to build the fastest car. We are not quite there with the car building skillz to win first place (or any place!) when it comes to speed. 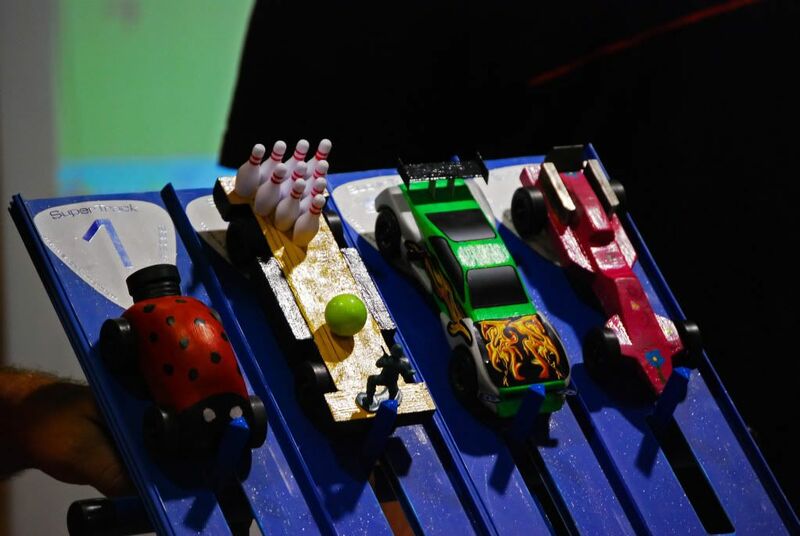 Our enjoyment comes from building a car from the boys' imagination and shooting for a win in the Most Creative category. Oh and it is always a good idea for the car to make to all the way to the end of the track! I am ashamed to admit that this year, we had a vehicle stop cold right in the middle of the track. Not once, but TWICE! Sorry Austin! But look, him and his yummy car forgive us! Doesn't his car look delicioso? Austin worked with David to make the dish part of the car. 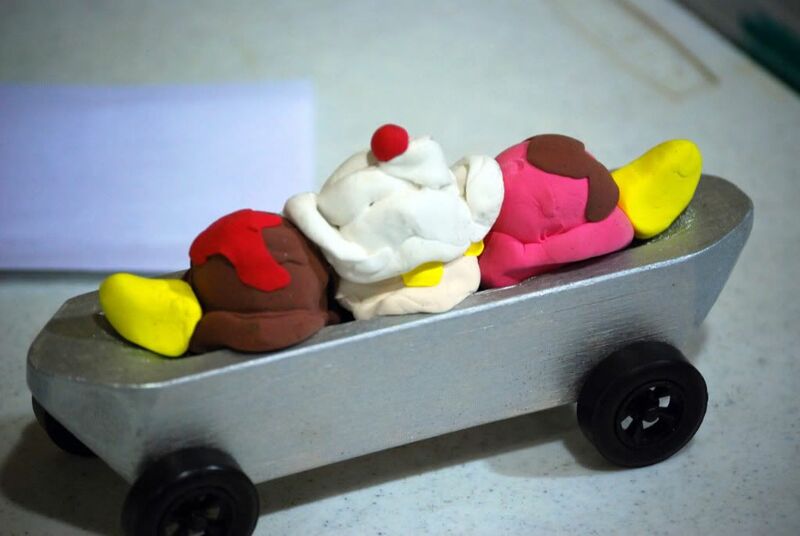 He made the ice cream, banana and toppings with Crayola Model Magic. Neat-o, don't you think? Slow car but still fun! It seems whenever Noah is concerned, an army man must always be involved. In fact, I had to get on to him tonight for hiding army men and Lego's in his bed so he can play with them at night! Silly boy. At least this guy has his arms-- they purposefully maim their guys in battle sometime. To make it more real. Ummm... okay. 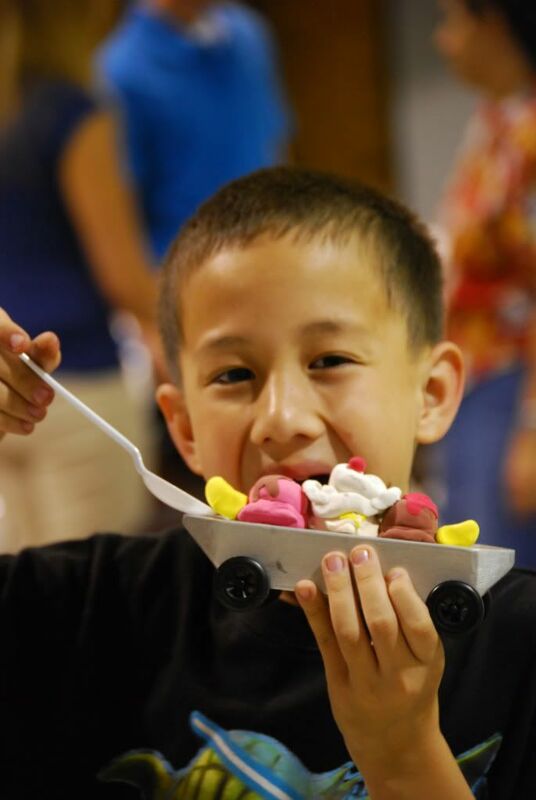 Noah was double blessed this Derby because his car not only made it to the end of the track every single time, but he also won the trophy for Most Creative. Congrats Noah-boah! He is very proud of his trophy. What is it with kids and trophies anyway? Maybe I should make myself a trophy. Y'know, like "Queen Mother of the Year" or something. 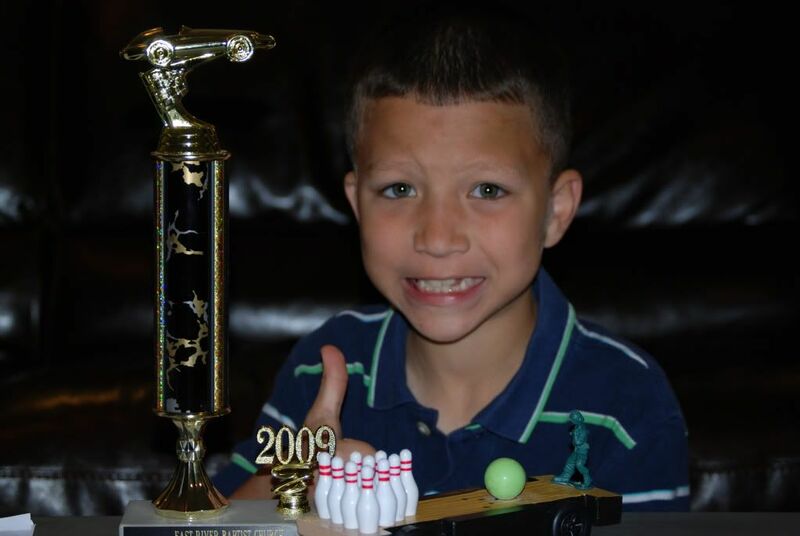 Austin was happy for Noah to win. 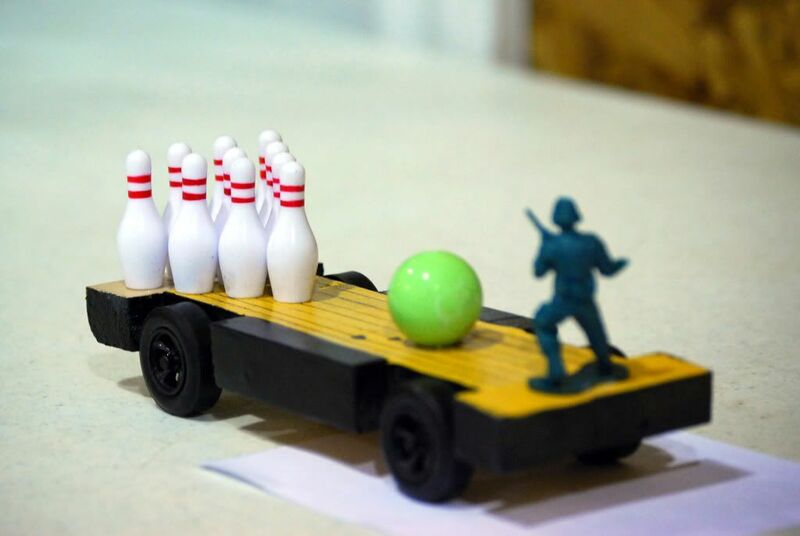 Austin actually won Most Creative for his police tank car back in his first Derby. 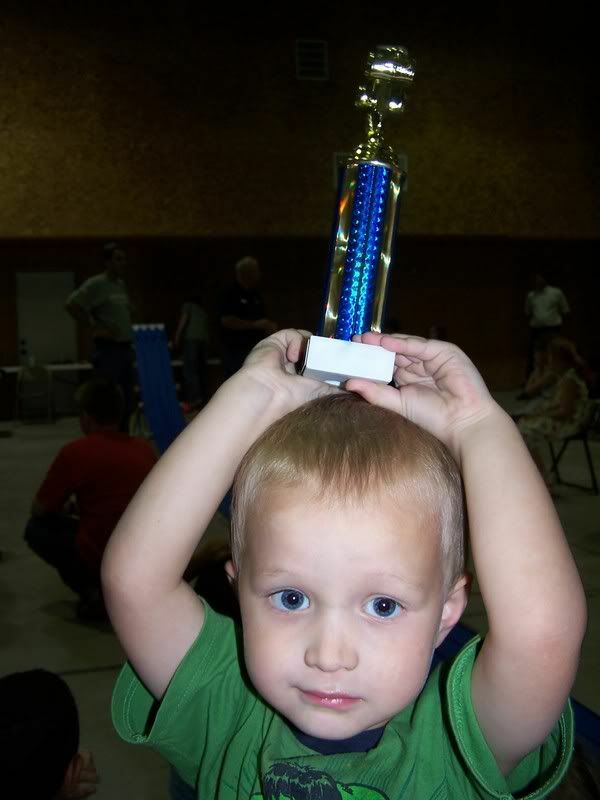 And Christian even won a trophy last year for 2nd place in speed. :) Courtesy of Luke-- thanks, Luke! So big smiles all around-- with or without trophies!